Abu Dhabi family-owned conglomerate Al Jaber Group, in talks to restructure at least $1 billion in debt, has proposed to extend repayment by five years, two sources familiar with the company's plans said on Thursday. 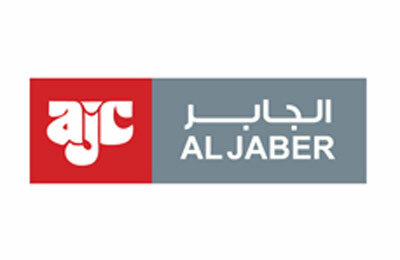 Al Jaber, which has operations in construction, aviation and retail, set up a creditor committee last year to negotiate the restructuring. It has not yet given a figure for its debt pile, estimated by some bankers at more than $1 billion. Al Jaber is one of the most prominent private sector firms in Abu Dhabi, where the acknowledgment of financial difficulties has been minimal in contrast to neighbouring Dubai, under the spotlight for its debt woes since late 2009. The conglomerate has embarked on a reshuffle of top management, including a new chief executive, as part of efforts to get it back on track. Abu Dhabi, the cash-rich emirate which sits on most of UAE's oil wealth, is itself conducting a strategic review of its state-linked entities as part of measures to ensure better investment discipline and governance in these firms. The timeframe for repayment was proposed at a meeting held with the company's creditor banks a couple of weeks ago. The company proposed asset sales as one means to help repay lenders but no specific assets were discussed, the sources said. However, agreement on a standstill on the repayment of the debt, a vital step in the negotiating process, is still months away, they added, declining to be identified because the negotiations are private. A spokesman for Al Jaber declined to comment. The creditor committee is chaired by the National Bank of Abu Dhabi and includes Abu Dhabi Commercial Bank, HSBC Holdings, RBS and Union National Bank.